With this Roller Shutter conventional electric shutters, garage doors and blinds can be retrofitted and automatically controlled. The applications can then be controlled via Z-Wave commands or, as before, via conventional wall switches. Regulate the amount of light in your home from wherever you are by smartphone. Program individual times when your blinds and rolls are automatically opened or closed. Benefit from this automation not only in everyday life, but also as an ideal complement to the presence simulation when you enjoy the sunshine on vacation. The Roller Shutter has been designed to fit in a flush-mounted box behind a conventional wall switch. 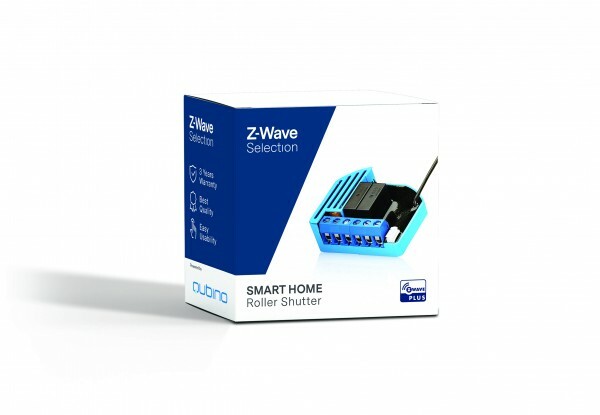 It also measures the power consumption of your connected consumers and increases the range and stability of your Z-Wave network. Optionally, a temperature sensor is available which further extends the number of functions. Whether it's a roller shutter, a blind or a garage door - with this Roller Shutter you can make conventional applications smart and control them at any time from any location. Related links to "Roller Shutter"